After the recent Carve 29 test, we’re on the topic of MDE again – this time regarding the handcrafted Italian brand’s latest iteration of the Damper 29. 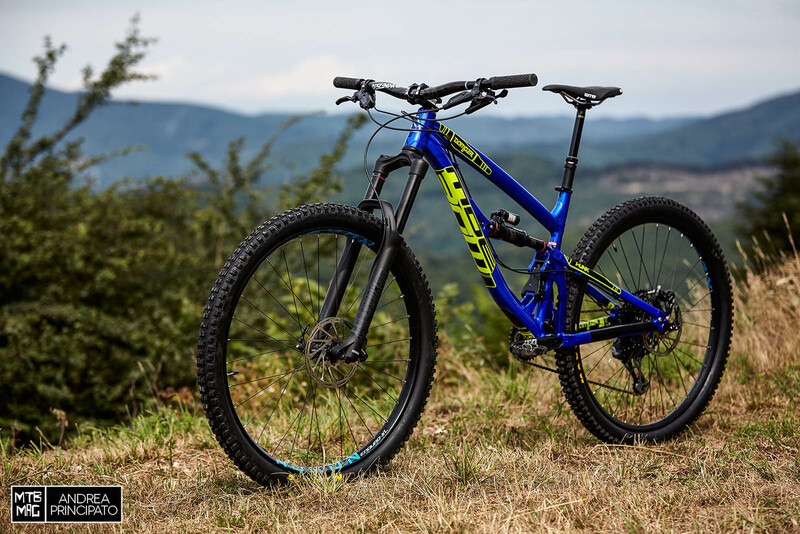 The new version is in line with today’s aggressive 29er Enduro race trend, while the Damper 27.5 is still available, offering a wider choice for the Enduro segment. As we’re going to explain in this article, MDE designed the Damper to support wider wheels and modified the geometry and kinematics. 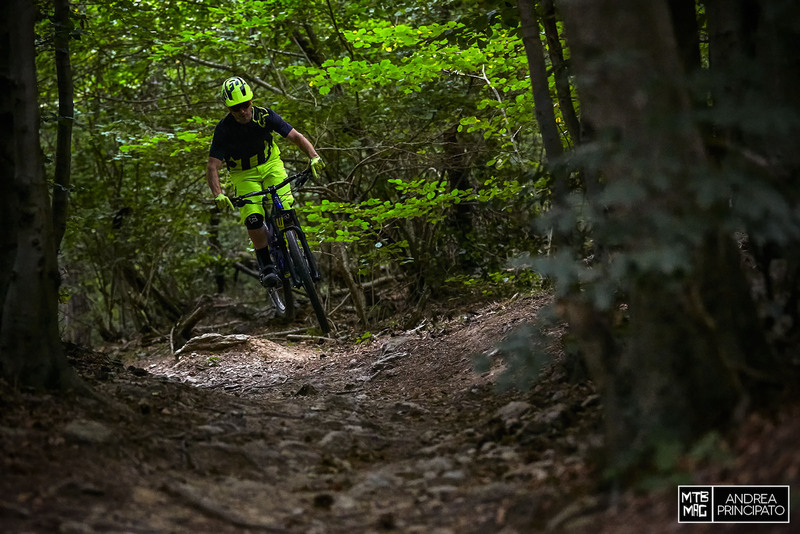 The test was carried out on various kinds of terrain: at multiple locations in Liguria, in some bike parks and on many alpine trails, often at high elevation, which put the Damper 29 to the test in several different situations. For the Damper 29, MDE chose 7005 T6 aluminum alloy hydroformed tubes, with some machined details. The frame is handcrafted directly in the MDE factory in Turin, with the usual care for perfect welds, which are highlighted by the translucent paint. The i-Link suspension system is a virtual pivot system with short links, which MDE adopts to combine the advantages of a progressive compression rate and the proper amount of anti squat to achieve a stable suspension. In order to support 29” wheels, MDE not only adjusted the geometry of the Damper, but also re-worked the suspension: in particular, the links are positioned more forward and a bit higher, to move the swingarm closer to the frame and shorten the chainstay. Consequently, the Instant Center is different and so is the suspension behavior, which gets even more sensitive at the beginning stroke, stable but still smooth and sensitive at the mid stroke and highly progressive toward the bottom out. Overall the suspension is smoother and less nervous than its 27.5 version, but maintains the same vivacity, as we will analyze further on. The spec’d shock on the Damper 29 is a RockShox Super Deluxe RC3 with 230mm length and a 65mm stroke, which provides 160mm of wheel travel. The Mid position guarantees a solid amount of intervention from the compression valve, which makes the suspension very stable even on the roughest trails, enabling good bump absorption as well as excellent traction while climbing. At the Firm position, the shock is almost locked out, with just minimum capacity for soaking up big hits. Race 18, the only full-bike build available for the Damper 29, is equipped with a 160mm RockShox Lyrik Solo Air 29″ fork, with 110×15 Boost spacing and 51mm offset. 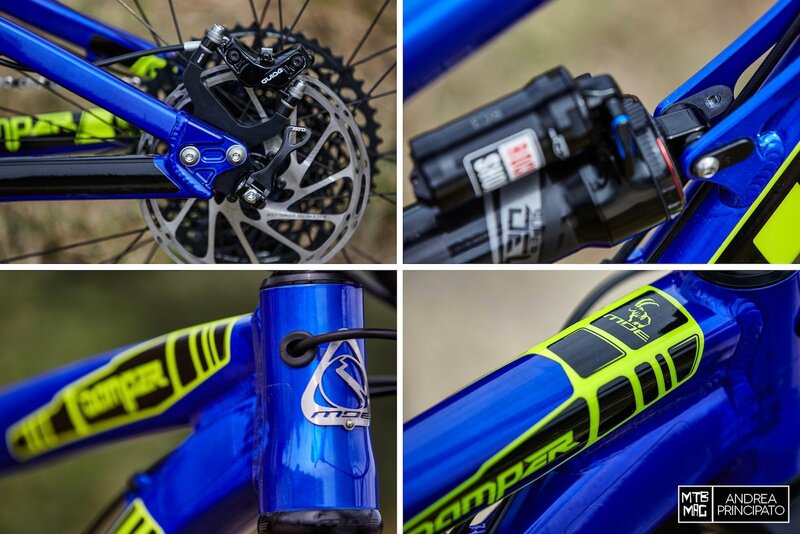 The solid fork deals perfectly with the aggressive character of the Damper 29. It is smooth, supportive and very sensitive thanks to the Charger 2 hydraulic cartridge and the updated DebonAir spring. Later on we’ll discuss in detail how the 51mm offset combined with the rather slack head angle affects the riding performance. The drivetrain is provided by SRAM: a 12-speed GX Eagle groupset, with a 32tooth Direct Mount chainring and a 10-50t cassette. This combination offers a complete gear range which suits the bike well: agile enough on climbs, even in technical sections, and very usable on the downhills. This groupset, which we already had the chance to test on the Carve 29, is a very good product, with characteristics and performance not far from the high-end group, but a lot cheaper. 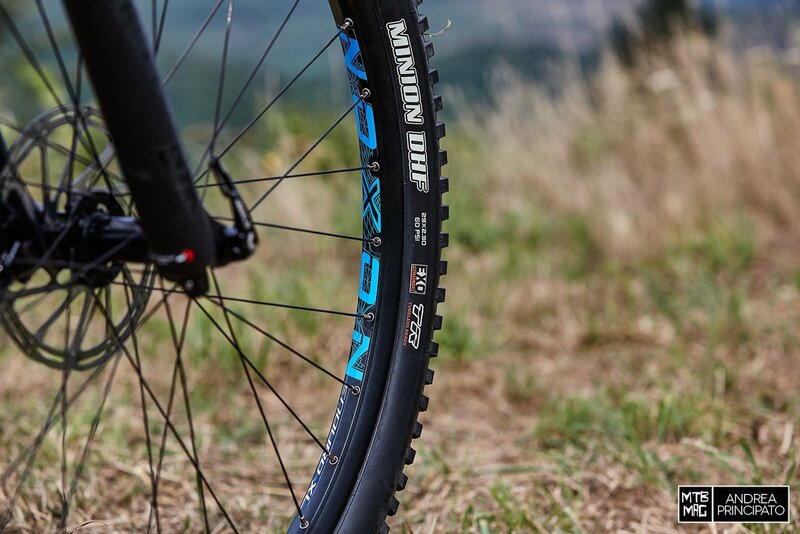 The wheels are Noxon Enduro XL 29, both on high-performing Noxon Boost hubs, with 30mm inner width asymmetric rims, Tubeless Ready. Spec’d tires are 2.30” Maxxis High Roller II Exo Tubeless Ready at both wheels. The Damper 29 which MDE sent us for the test is instead equipped with a pair of Maxxis Minion, DHR II at the rear and DHF at the front, both 2.30”, Tubeless Ready and EXO, installed as Tubeless. 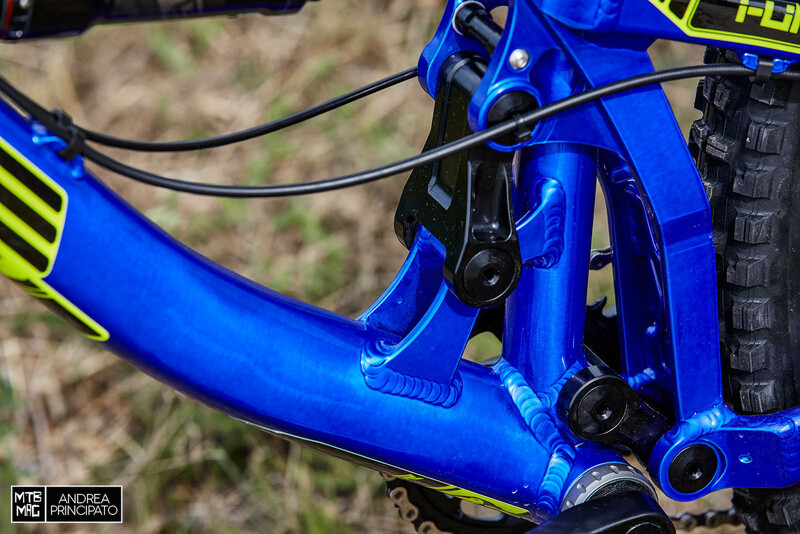 The handlebar and stem combo is made by Truvativ, the Descendant series. The handlebar is shaped resembling the previous Boobar, but the geometry is new. It is 760mm wide with a 20mm rise and well-balanced angles (7° back, 5° up). The stem is 50mm long with 0 degrees of rise. SRAM supplied lock-on grips for the spec version, but on the one we tested, MDE installed grips by Velo, a Taiwanese brand which produces most of the grips on the market, that probably soon will be marked with the MDE logo. We suggest asking for them when placing the order since they’re a good product, especially in terms of comfort. MDE confirms that it likes SRAM components on its spec and chose Guide brakes again, just like on all the other models previously tested. In this case the RS version, installed with 180mm diameter rotors front and rear. 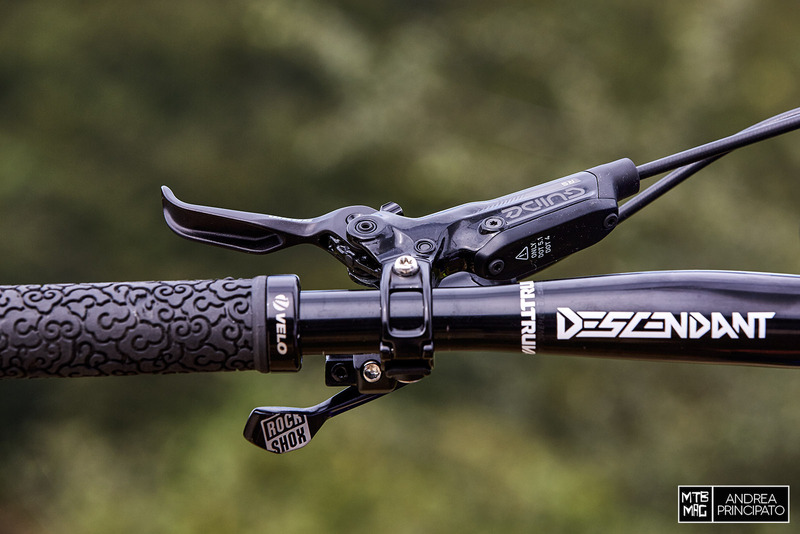 The spec’d dropper post is a 150mm RockShox Reverb Stealth. Unfortunately, on the tested bike we had ony 125mm of travel since there were no 150mm ones available from MDE. Because the Damper 29 is quite high from the ground, that 25mm makes all the difference in terms of riding performance and, in some cases, safety. The 1x hydraulic remote control which is positioned and works like a trigger, that we have already tested a few times, once again confirmed to be an excellent upgrade. On the Damper 29, dropouts are the usual MDE interchangeable machined dropouts. The 12mm quick release wheel axle is made by MDE, it is well finished but it can still be improved, since you need to tighten it with a hex-key because it tends to get loose. Therefore, we suggest choosing the traditional MDE axle while placing the order. 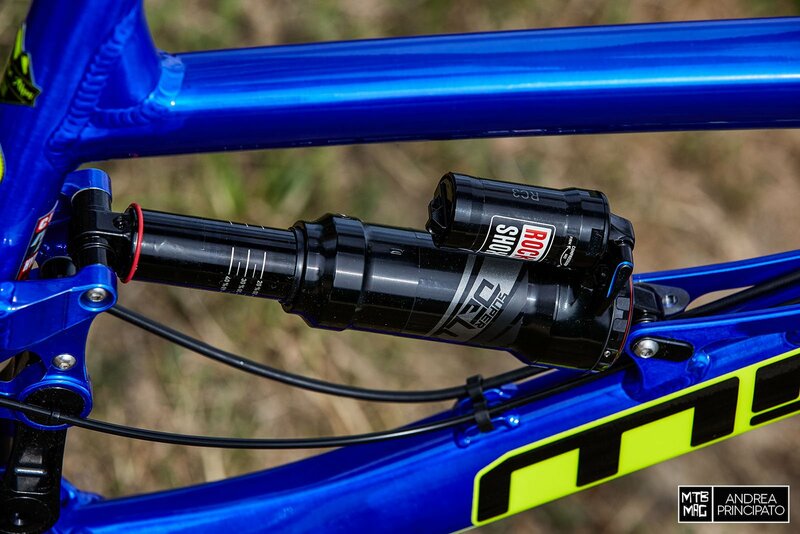 The FAST system (Fit All Standards Technology), which was also on the Carve, on the Damper 29 enables you to install either metric or standard shocks without affecting geometry or travel. The dropper post remote cable enters the frame on the head tube, with a pretty clean routing. Graphics are made on a solid protective crystal film and are fully customizable on demand. 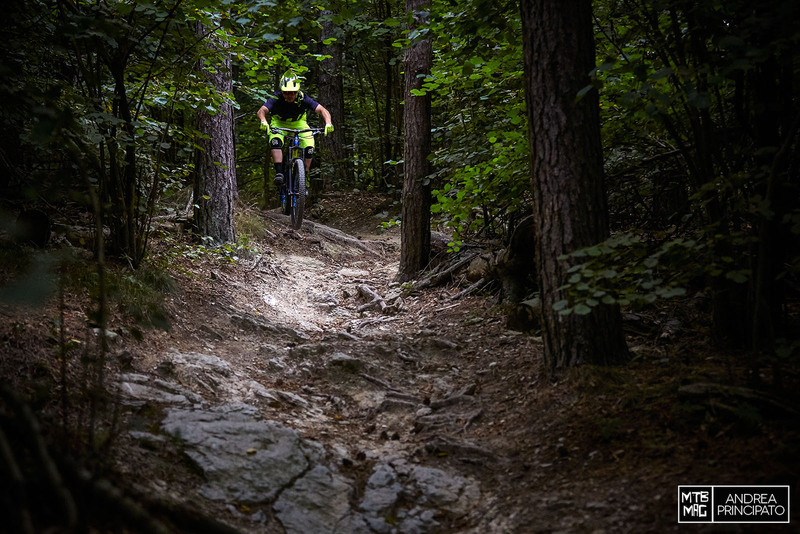 Usually, an aggressive Enduro bike climbs just well enough to reach the top and point it back toward the bottom. We expected the climbs to be torture, harder than with a traditional Enduro bike, on a 29er with long travel at 14.5kg pedals included. 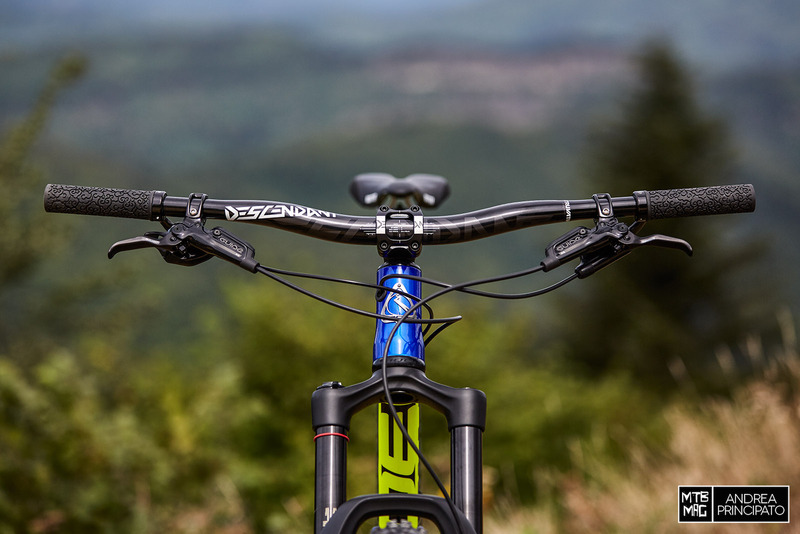 Discovering the Damper 29, we were pleasantly surprised: during the long test period we enjoyed large elevation changes, often at high altitude, riding demanding trails in which we had fun climbing, much like on a Trail bike. The riding position is a bit huddled up, due to the very steep seat tube angle, but comfortable and balanced. 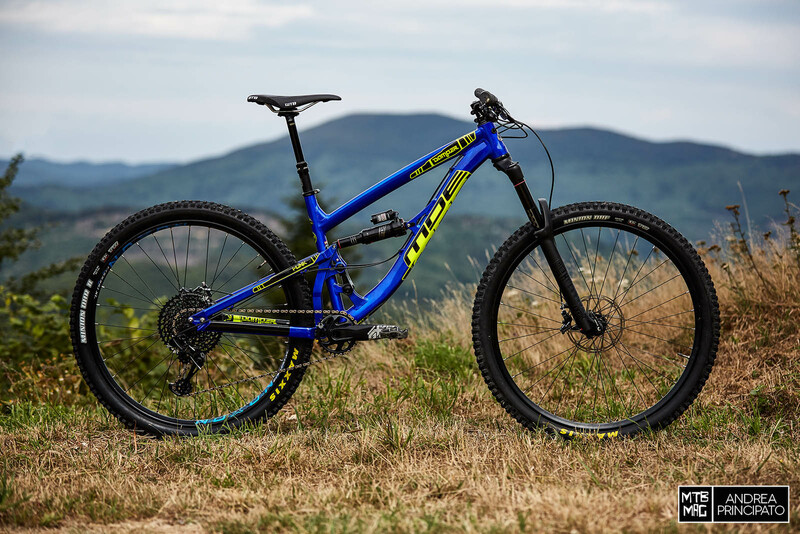 It is rather high, since the bike itself is high from the ground due to the wheel size and its 160mm of travel on both wheels, different from the traditional 29er, where you feel “inside” the bike but at the same time aggressively positioned. The antisquat value is ok, but not as good as on the Carve that is extremely stable and enables to you to always ride in the Open position. On the Damper it is better to set the Mid position to have more support from the shock. It was good to pedal not only on flowing climbs, but, much to our surprise, also on technical terrain, where nimbleness and overcoming obstacles are critical. O n the roughest sections, we always felt in full control and got optimal traction. The geometry is aggressive and, subject to the efficient climbing performance described above, particularly downhill and speed oriented. The 65.5° head angle matched by a rather long chainstay, clearly explains how the Damper is stable and impetuous on the downhills. The slightly forward riding position enables you to load the front easily, minimizing the effects of the high handlebar and at the same time encouraging nimbleness on tight sections, despite the long chainstay. 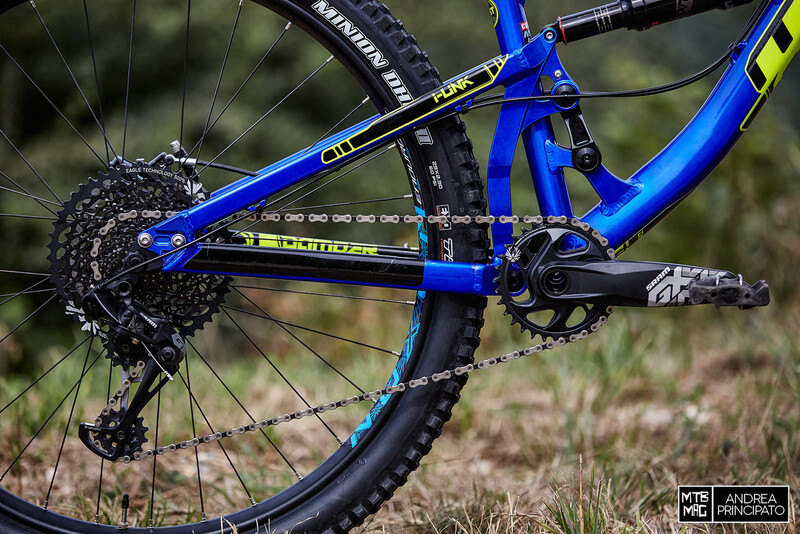 The bottom bracket is quite high, nonetheless changes of direction were fast and clean, provided the pilot has a physical style of riding, which 29ers usually require. In the overview chapter we mentioned the fork offset value which affects the riding of the Damper 29, combined with the very slack head angle. Steering is less sensitive in the first degrees of its movement, then changes instantly, once past a certain turning angle, and understeers. It is not necessarily an issue, but simply a different behavior which one can even take advantage of, especially on technical sections. Clearly, it takes some time to get used to it, and to have more traditional behavior, it is better to choose a fork with lower offset. 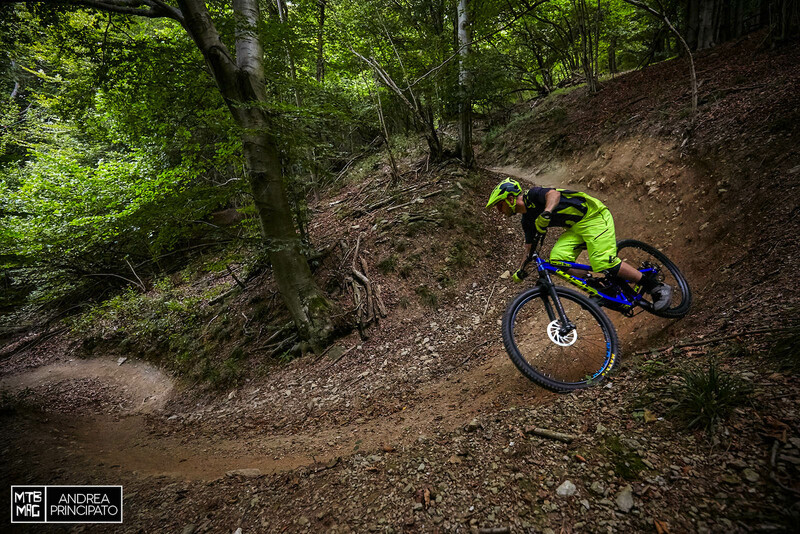 When the going gets tough, on fast and rough sections, where the bike must be dominated, the Damper 29 gets aggressive and efficient. 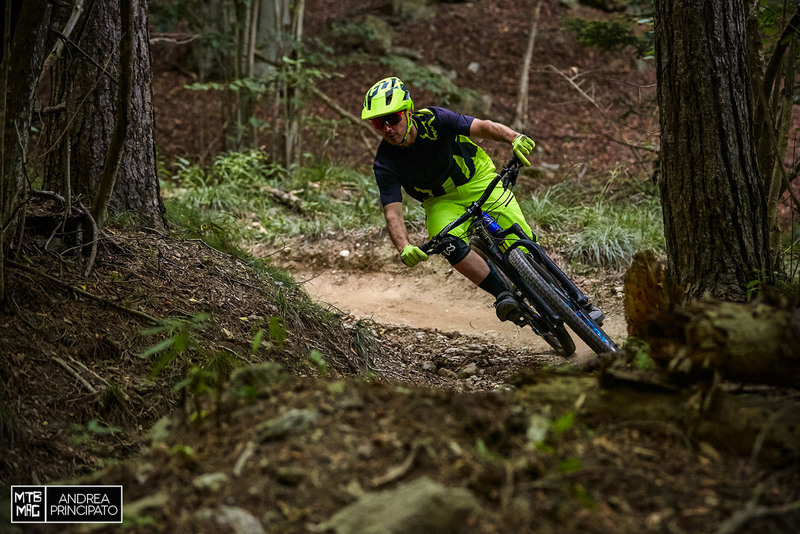 You can easily reach and maintain speeds higher than average and, in this respect, it is an Enduro bike that’s more similar to a DH bike than we’ve ever tested. Slack geometry provides exceptional stability and enhances the safety margin. The suspension has excellent damping capacity for back to back hits on rough terrain, and it stays active – providing grip in the most critical situations. Having tested almost every recent MDE model, we can say that this i-Link application on the Damper 29 seems to be the best of them all: balanced and concretely efficient. The finely tuned compression curve managed enables the shock to work mainly at mid stroke, soaking up massive hits but using full travel only when needed. This also guarantees stability on landings and big hits. 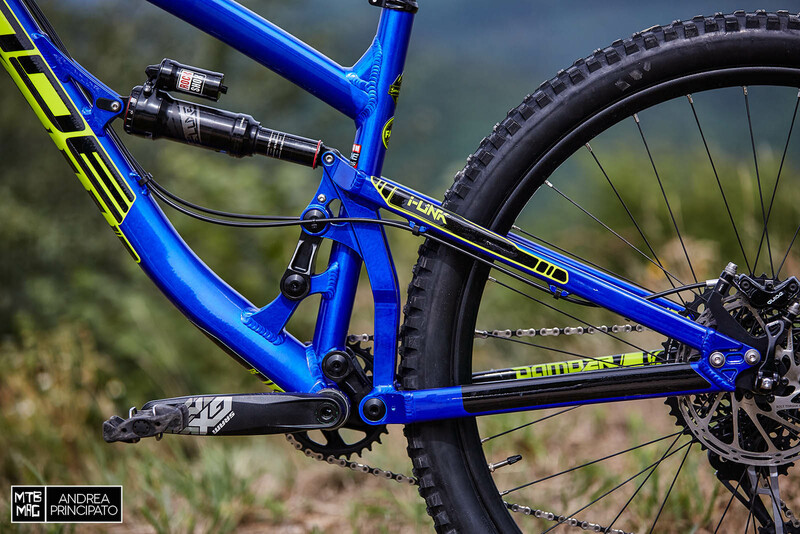 The progressive rate conveys a reactive behavior, not that common on a 29er, which makes the Damper pop up as soon as the impulse to lift the wheels is given. The bike is also quite well balanced in the air. Geometry, together with the perfect performance of the Lyrik, provides optimal safety, so much that it’s a pleasure to face technical trails, especially on steep sections, where the full control experienced with the Damper 29 is even more appreciated. Also on some trials-like situations, with varying steepness, the maneuverability is still good, letting you overcome extremely technical parts with agility and relative ease. We often found ourselves facing typically tough sections with more decisiveness and confidence than ever. Analyzing the geometry chart, the Damper 29 might seem bulky and awkward, but as soon as you get on, you understand how reality differs from theory. 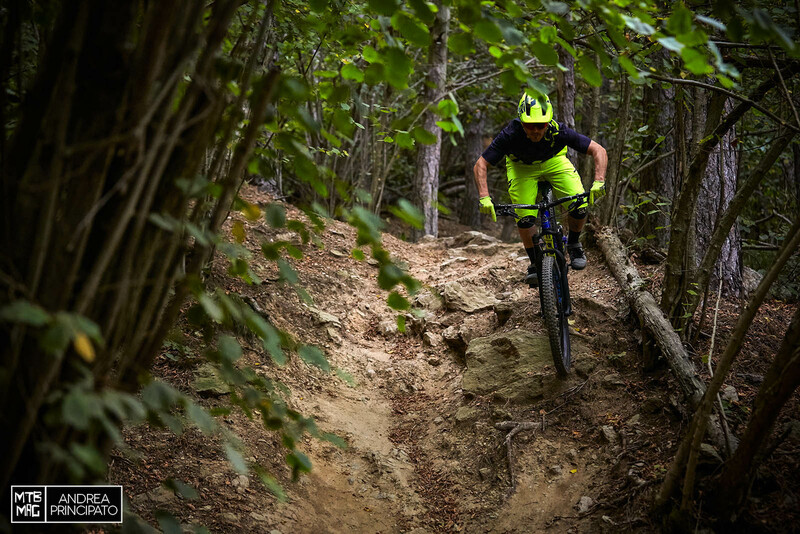 The MDE Enduro bike is one of the best bikes that we’ve tested in the last few years, and it was no doubt the one which surprised us the most. 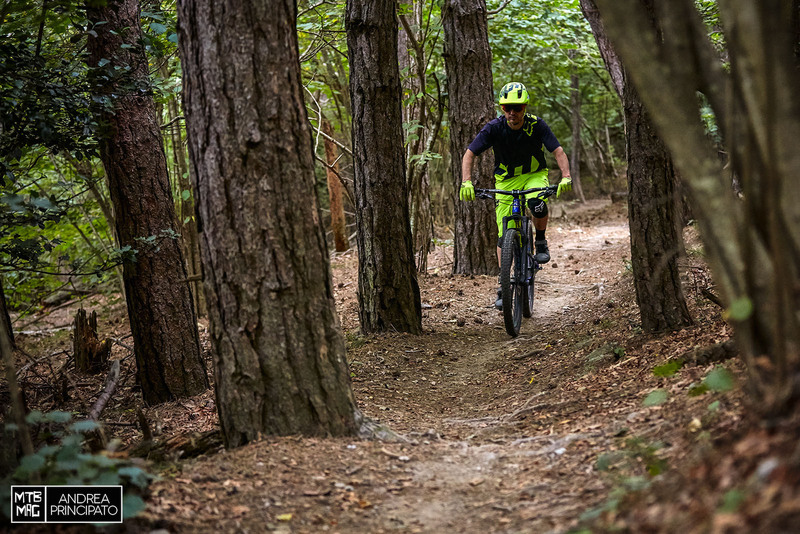 No exaggerations nor big claims: climbs like a Trail bike and descends like a DH bike. 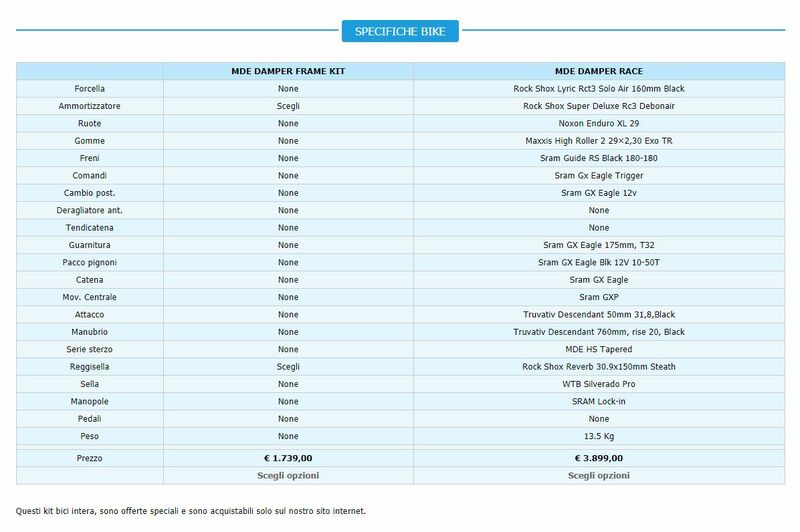 MDE frames are handcrafted in Turin and for this reason geometry and other details can be personalized when placing the order, through the Rider Tuned Geometry program offered by MDE. Also frame color and graphics are customizable. The product is delivered within 60 days from the order confirmation date.